Jo is a well-known smart phone photographer, she takes pictures of the wild and windy Moor on her doorstep and posts them on Instagram where she has a large and loyal following for her smartphone photography. Jo has recently published her first book, “Smart Phone, Smart Photography” with CICO books. Jo delivers a range of workshops in smartphone photography from beginner’s sessions to masterclasses from Green Island Studios, her bespoke analogue darkroom and workshop space on Dartmoor, in the UK. Jo is often featured on TV and radio shows including BBC1’s Sunday evening prime time TV show Countryfile, and on the BBC and ITV evening news, and Radio 4 talking about smart phone photography. Born in Hertfordshire, England, Jo was raised in Southern Africa. 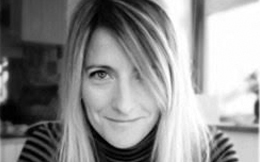 Jo received her Master’s Degree (with Distinction) in Photography: Critical Practice from University College Falmouth in 2004, her work is regularly exhibited and collected all over the world. As a long-term Getty Images contributor, she has licensed her work and received commissions from clients including American Express, Disney, Oprah.com, M&C Saatchi, MTV New York, Google, AOL, Viacom, Faber & Faber, Hello Magazine, Microsoft, Channel Four TV, Zara, Samsung, Conde Nast France, McGraw Hill Publishing and Random House Publishing.